One of the rare series of our time, "Dark" offers an arresting and raw take on a complex genre. It is a mesmeric science fiction series that is equal parts poised, sophisticated, and foreboding. "Dark" maneuvers its story with confidence as it weaves its elaborate tale. It is stylistic without being obvious, tender without being overly sentimental, and melodramatic without losing any of its intrinsic prestige. Picking up in 2019, “Dark” opens with the death of its lead protagonist’s father. Jonas Kahnwald is profoundly affected by his father’s loss, which leaves him depressed and bewildered. Returning to his life and those who populate it in the German town of Winden, Jonas soon realizes that the dynamics he left have changed without his presence. Amidst the backdrop of this teen angst, further anguish is just around the bend. Mysterious disappearances have been haunting Winden and many of its young residents want out. Like any great soap opera, “Dark” revolves around the ties of its four core families: the Kahnwalds, the Nielsens, the Dopplers, and the Tiedemanns. When the youngest member of the Nielsen family vanishes one night, the town becomes entrenched in another disappearance that like the one before, will involve every character. The disappearance of Mikkel Nielsen, the little brother of Jonas’ love interest Martha Nielsen, will reveal far-reaching truths that affect everyone in town. This wave sweeps Jonas and the audience into a recontextualized understanding of the four families' members. As you may know, these revelations come courtesy of time travel, which is an incredibly tricky story mechanism to manage. Creating any story is complicated as there are plot threads in the most straightforward narrative that can trip up its creator. Time travel, however, requires an acute and active knowledge of where every thread rests. One wrong move can result in said thread becoming tangled, disrupting the story with a knot instead of a twist. As elaborate as “Dark’s” time travel story becomes, it is also easy to follow thanks to the writers’ impeccable attention to detail. At the heart of any compelling story are gripping characters and “Dark” has them in spades. The ones in the first season are complex, and as any good story allows them to be, our first impressions are tested with the coming events. Like the Richard Curtis masterpiece “About Time,” this Netflix series never loses the emotional drive of its characters. And while “Dark” deals in the hyper-reality of time travel, it shares non-science fiction elements that ground it in a bleak pragmatism that resonates with real life truths. Visually majestic and assured, “Dark” is a gritty and ominous show as its cinematography, and standout soundtrack, convey. It is “dark” without being entirely oppressive. There is room to breathe and light to see within its darkness. That is until the seasons draws to a close, seeping ever deeper into its grim pull. Aiding its elements is its ensemble. All of whom are sensationally cast. The pivotal work of assembling this ensemble is not lost on this viewer. As the complications of casting a time travel series make it undoubtedly daunting. Thankfully, all their hard work marvelously pays off. Like turning over a rock to discover what is underneath, the cast of “Dark” gives viewers the surface before showing you the hidden side, and they are masterful at portraying both. How people connect is a dramatic thing, and while packaged in the nuance of time travel that story is at the fore of the uncomplicated aspect of “Dark.” The marvel of human dramas that explore the complexities of troubled and good-natured souls is ever-present in its 10-episode first season. If you also feel that one of the greatest strengths of “Game of Thrones” is the intricate history shared between the Houses aka the families at the forefront of the series, then you are already one step into “Dark.” As a family drama, it features similar stakes. There is an epic feel that costume dramas appeal to with their familial-based intrigue, so to see a prominently modern-set series execute that to similar results is rather stunning. “Dark” is intricately written and swiftly told with a pace that never wavers in keeping one intrigued. It builds that momentum thoughtfully and with an expert sense of what note to play and for how long. It is never out of tune. As the time travel genre has warned us time and again -- the past impacts the present. It is the fantasy we can definitively know the past and impact the future that may contain our ever-present fascination with the thought of it. 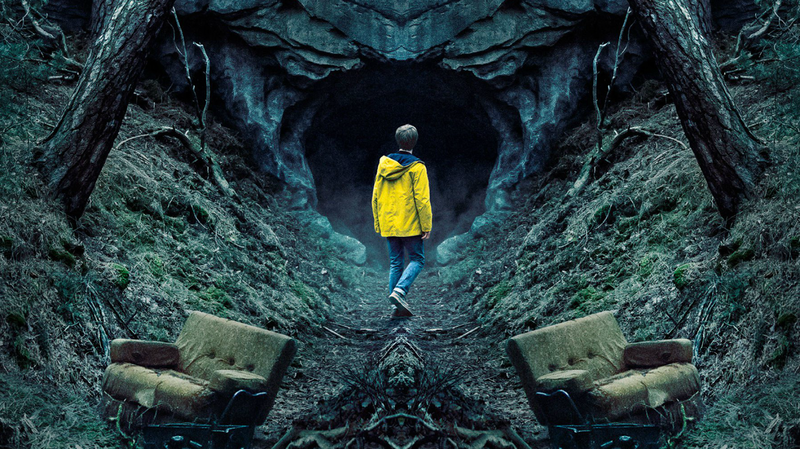 Making it one of Netflix’s best original series, “Dark” lets you in on the fantasy while acknowledging the inescapable downsides one may never think of existing. "Dark" is currently streaming on Netflix.